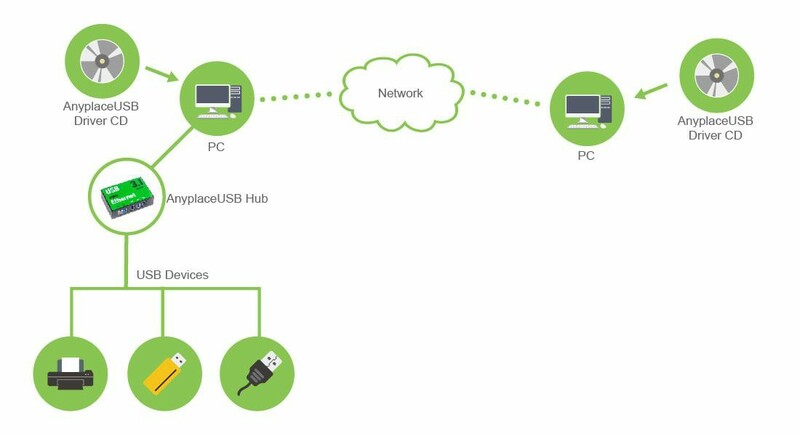 AnyPlace USB is a new flagship product for working with remote USB devices over LAN or the Internet. The remote USB devices can be shared by many users. When you connect remotely shared USB devices they are recognised as if they were connected directly to your local machine. AnyPlace USB is an ideal solution for redirecting USB devices to the remote session over your network. USB devices are emulated as if they were plugged directly in the remote side. With AnyPlace USB you can manage your USB devices remotely. There is no need to be physically present at the remote end to connect or disconnect a device. Remote USB products appear as nodes on your local PC, allowing you to view and manage them. Security is provided by password authorisation and traffic encryption. Connect the AnyPlace USB to a PC. Install the unique AnyPlace USB Network software on that PC and any other PCs you wish to access the USB networked device. 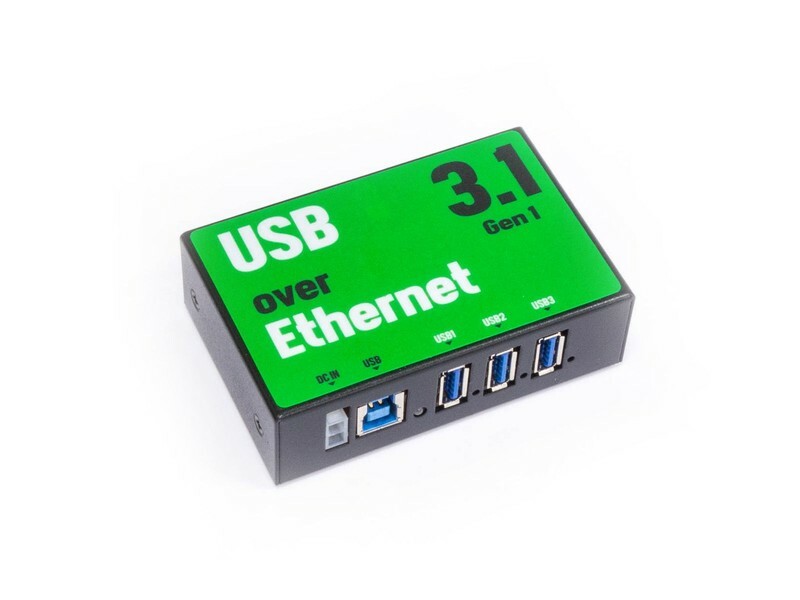 Your USB product is now networked on every PC that has the installed AnyPlace USB Network software. 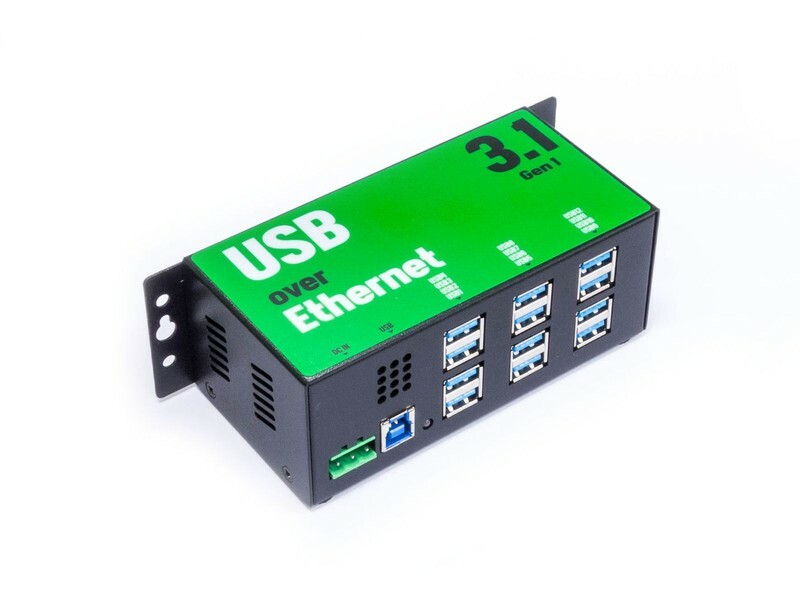 There is a choice of 3, 6 or 12 port AnyPlace USB Networked products. 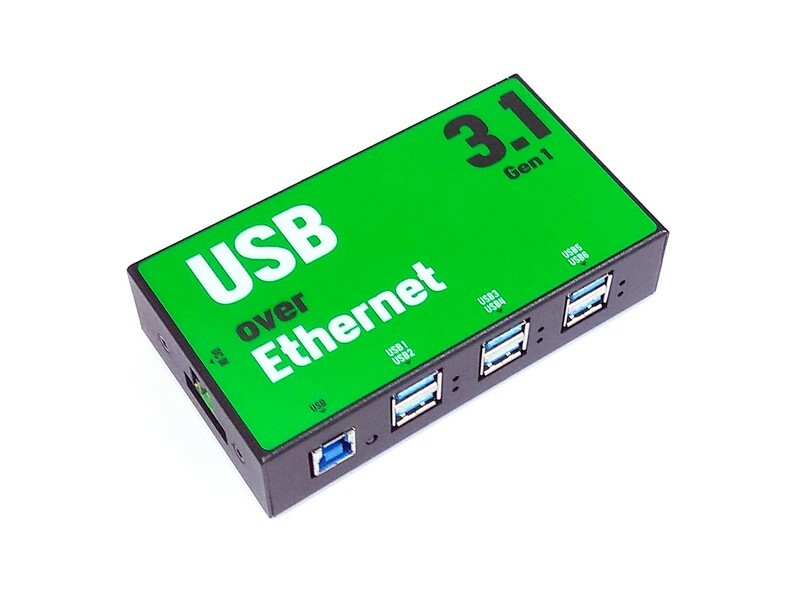 AnyPlace USB can handle all USB products up USB 3.1 Gen 1. That’s speeds up to 5Gbps. Anyplace USB networked products are powered from the USB port. There is no need for awkward power adapters.